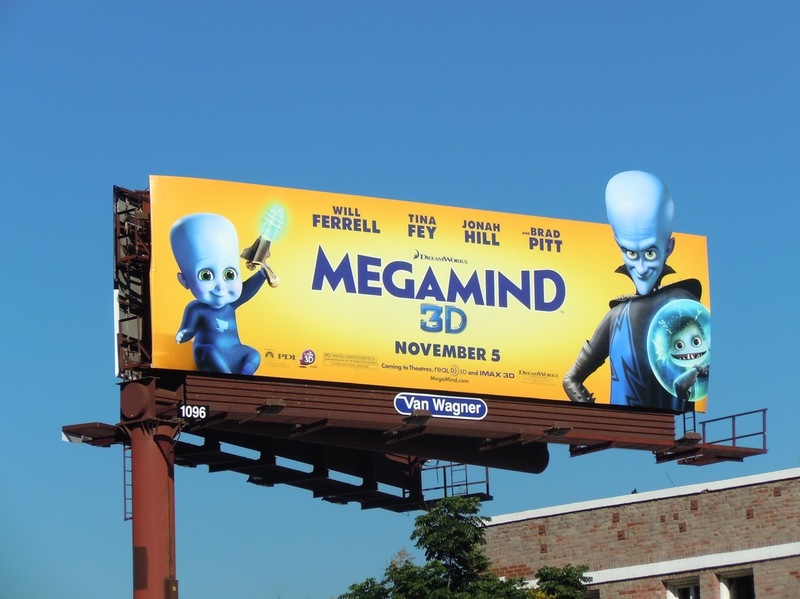 You just have to love this bright, fun and eye-catching movie billboard for animated comedy Megamind. What's not to like about a blue, big-skulled alien looking down at you from the skies of L.A.? 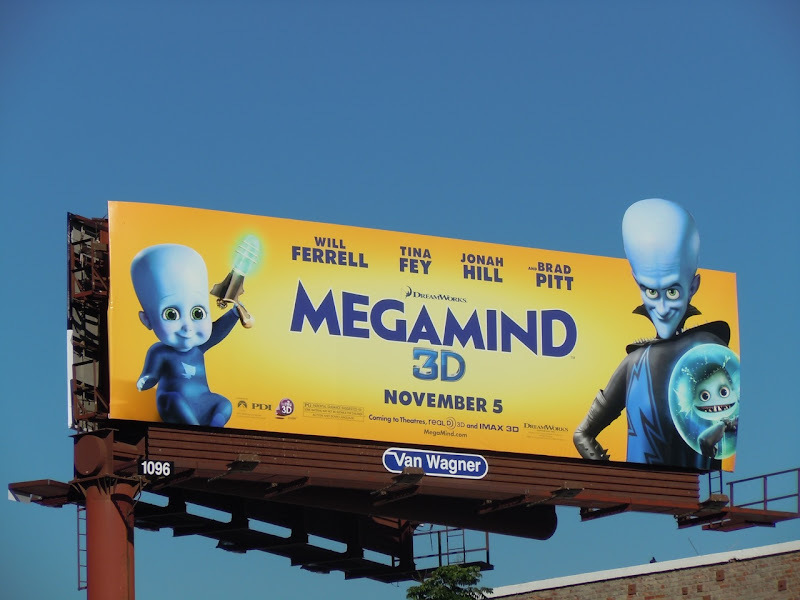 This vibrant DreamWorks billboard was photographed at Cahuenga and Sunset Boulevard on October 11, 2010.